What grabs your attention? Sometimes it is something so simple and fun we almost forget that a profile is not all about what you say or the words you use. While words and SEO is of great importance, there is more to this story of what caught your eye. LinkedIn gives us a chance to add some creativity due to a little secret – that is rapidly becoming not a secret anymore. And the formatting that we want to add to instantly upgrade your profile in order to give it some “pop”, and catch a readers eye, not to mention making it more organized and reading friendly is …some interesting symbols! I often get asked about this from my group members because adding symbols is one of the easiest things you can do tor your profile yourself that has the most bang for your buck. 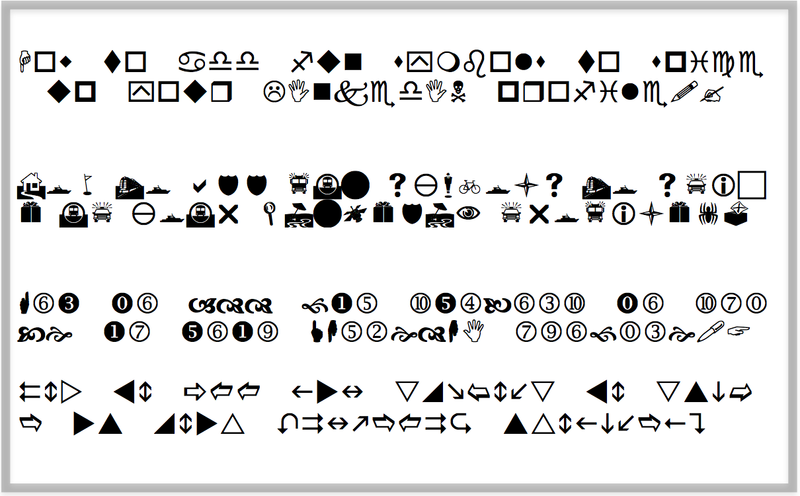 Pull up the symbols, website or page of symbols, highlight the symbol by clicking over it (right click or double click) then copy (control or command + V) the symbol. So which one will you pick to try first? Need some advice? Want my eyes on your profile? Join me for a Free LinkedIn Workshop this week! Thanks for the tip Karen! Now I’ve added a sun symbol to either end of my profile description it stands out on the page so much more. 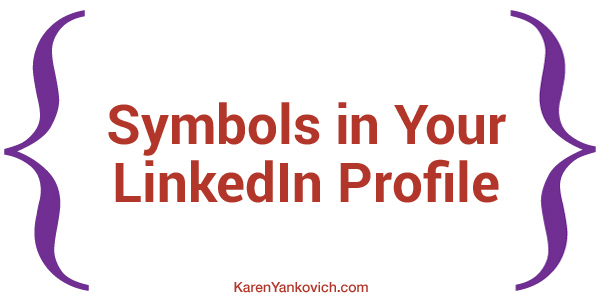 Karen – such a simple yet fun and effective addition to the LinkedIn pages. I can see using it on blog posts or other material too. Thanks for the tip and resources.